“'Big data' has arrived, but big insights have not. The challenge now is to solve new problems and gain new answers – without making the same old statistical mistakes on a grander scale than ever." In my own instance, I'd estimate that over 90% of the ads appearing on my computer screen are for products/services I have NO interest in, even things I dislike; what a waste of time, money, bandwidth… and what decrepit 'big data' algorithms, from over-paid algorithm-creators, produce such poorly-directed schlock!? I'll give one simple example (you may be able to relate to): some months back, a friend asked me what I thought about annuities for their retirement account. I told them that in certain instances an annuity might make sense as part of a retirement plan, but in general I've heard too many negative things about annuities and would stay away from them. I said I'd look up some information to send them on all the reasons to AVOID, or at least be cautious with, annuities. I spent significant time googling annuities and found several pages with critical commentary that I forwarded along to my friend… So of course what happens, but for the next 72+ hours I get bombarded, everywhere I go on the internet, with irritating ads trying to sell me an annuity! Now, I DEPLORE annuities even more than I did previously! :-[[ Because of the atrocious ads confronting me for a string of days, I will NEVER EVER EVER EVER (as Taylor Swift would say) consider purchasing an annuity. Good job peoples! How can companies be sooo stooopid as to fork over $$$ to Google, Yahoo, Microsoft, whoever, for such wretched leads? or to deliver such annoyance?… and I don't just ignore the pestering ads from companies/products I have no interest in; I actively badmouth those companies to anyone who will listen… should I live another 25 years, that's a lot of bad publicity some companies have purchased as I go through life voicing ill things about them. There are ways, with questionnaires, forms, and feedback mechanisms to truly tailor appropriate ads to individuals, or even to better evaluate a person's web searches, to find their real interests (heaven forbid anyone spend the time and money for such accuracy though). If I say I am interested in Ziggle and Xaggle binoculars then send me ads for those products… DO NOT send me ads for 20 OTHER binocular brands I DON'T have interest in, unless I indicate such broader interest. DO NOT send me ads or coupons for Coca-Cola if I say I ONLY drink Pepsi and Mountain Dew… is this concept too hard to comprehend??? Narrow-cast to me; narrow-cast and you might actually get my interest (and even some of my money); use metadata to toss me into broad, amorphous categories with crude methods and assumptions and, at least so far, you're going to be wrong 90% of the time. "The big data craze threatens to be The Literary Digest all over again. Because found data sets are so messy, it can be hard to figure out what biases lurk inside them – and because they are so large, some analysts seem to have decided the sampling problem isn’t worth worrying about. It is." Yes, "sampling problems" are ALWAYS worth worrying about, be you a pollster, Google, the NSA, or an annuity salesperson. ...Everyone have a good weekend! (…just maybe, perhaps, possibly, Spring will arrive to stay). "For most nonscientists, what's most important in science education is not the imparting of any particular set of facts... but the development of a scientific habit of mind: How would I test that? What's the evidence for it? How does this relate to other facts and principles? The same, I think, holds true in mathematics education. 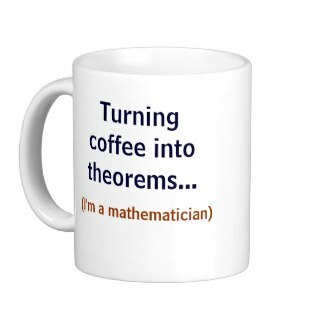 Remembering this formula or that theorem is less important for most people than is the ability to look at a situation quantitatively, to note logical, probabilistic, and spatial relationships, and to muse mathematically." 1. I'll start with a quirky question: probably most people have middle names, but you actually seem to USE yours all the time (at least I always see you referenced as "John ALLEN Paulos")… can you tell us what, if anything, is the significance of your middle name? Using my middle name is probably just an inertial continuation of a practice dating from my first writings. I don’t know any deeper reason. Perhaps a soupcon of vanity, narcissism, grandiosity, fear of parakeets? Or maybe it’s related to the fact that I was born on July 4th and when I was a toddler my parents told me the fireworks were for me and thus I grew to believe I needed a grander name. I joked in Innumeracy that I use “Allen” to distinguish myself from the then Pope John Paul. Except in bylines, book blurbs, and public contexts I go by John Paulos, never John Allen Paulos, which in everyday contexts sounds affected. 2) On to my more usual inquiries… Do you recall when you first got interested in mathematics, and at what point you knew you wished to pursue it professionally? A few relevant early memories. I was very interested in sports, especially baseball, in grade school and once caught my bully of a math teacher in a mistake. I loved algebra and solved a few problems that no one else in the class did. Also read popular math books. A brash atheist in junior high, I became enamored with Bertrand Russell and learned he was both a philosopher and a mathematician. Despite this attraction to and affinity for math, as an undergraduate at the University of Wisconsin I at one time or another majored or seriously considered majoring in English, classics, philosophy, and physics. Yet I always returned to math. 3) Among the many books you've written do you have a favorite, and are you currently working on a new volume that you can tell us about? The old saying about loving all your children equally does extend to books. That being said, Innumeracy, A Mathematician Reads the Newspaper, and I Think, Therefore I Laugh are probably the first among equals. Yes, I am working on a new book about the mathematical aspects of biographies. 4) One of the main focuses of your writing over the years has been mathematical literacy, or "numeracy." It seems to me that math literacy (probably science literacy in general) in this country hasn't changed much over say the last five decades, or has DECLINED! Do you feel the same, and is that discouraging? The internet revolution in digital resources gives me some greater hope for the future… again, would you feel the same, or how do you view the future of math education and literacy in America? I don’t want to re-enter the math wars. Different approaches work for different people, and whatever approach becomes standard will no doubt be wrong for many. Unfortunately, there is no royal road to mathematics or mathematics education. 5) When you're not reading/doing math, what are some of your other favorite reads, and favorite activities/interests? I like to read, of course, unfortunately fewer novels and more blogs and news sites than formerly. We have a summer cabin near Bar Harbor where I like to hike, bike, climb, eat ice cream. Do some of that at home in Philadelphia as well. I also very much enjoy “traveling the world” from Bangkok and India to Peru and Brooklyn. 6) You're a prolific writer, and active on Twitter, so seem a natural candidate for a blog, but I don't think you've ever done one… just not enough time, or some other reason? But you do write math columns… who are you currently writing for? 7) Probability is a particular interest of yours, and there are so many great counter-intuitive probability problems/paradoxes… do you have some special favorites? What are your other technical areas of professional interest? My Ph.D. was in mathematical logic, model theory in particular, obtained after a futile year spent quixotically trying to come up with a plausible axiom that would show the falsity of the continuum hypothesis. Most, but not all, of my popular writing has centered on probability and adjacent areas, and I think that an understanding of many of the standard probability oddities would be most helpful to people regardless of their primary interests. Among these oddities are real world analogues and illustrations of Simpson’s paradox, prevalence of false positives, ubiquity of coincidences, gambler’s ruin, Banach match book, Buffon needle, conditional probability, coupon-collecting, birthday, Monty Hall, and on and on. 8) People like you, and Drs. Devlin, Strogatz et al. simultaneously teach complex, high-level mathematics at major universities, yet find time to write books at a more general interest level… that's always seemed to me almost like operating in two different worlds -- does it feel that way to you, or is the transition smooth and natural from preparing for an audience of sharp grad students and for the lay public? They are different, but in a way writing for a large general audience is more difficult because you can’t assume that your readers possess very much background knowledge. You have to structure your presentation very carefully and sometimes have to choose between clarity and precision. If you can think of a familiar everyday scenario or vignette illustrating a mathematical notion, that is usually preferable to a more formal approach. 9) I'll end with a broad question if you care to take a stab at it: I think you could be characterized as a political progressive and a scientific skeptic, in addition to being a 'math geek,' and I often find those three traits hanging together. From your own lifetime of experience around mathematicians do you think there is anything about mathematical thinking that tends toward progressivism and skepticism, or is diversity among mathematicians as great as in some other fields? I think the three traits do hang together somewhat with, of course, many exceptions. Skepticism and progressivism are natural allies, as are dogmatism and reactionism. Being mathematically savvy or just plain numerate does also tend to make one a skeptic. As for progressivism, reality itself does seem to have a liberal bias. Thanks Dr. Paulos for filling in a bit of yourself here. Several of your books are 'classics' in the popular math genre; if any readers aren't already familiar with them, by all means check 'em out, while waiting for his next one! Alexander Bogomolny -- "Cut The Knot"
"A person who abhors reading in general may be suspected of lacking in intelligence, but otherwise, in the absence of further personal data, would likely be judged 'normal.' A rare person would dislike music as opposed to the one who dislikes a particular kind of music (classic, chamber, pop, country, etc). You would probably be surprised to meet a fellow who feels indiscriminately dizzy at the sight of a painting. Why then has it become an acceptable norm to confess a dislike and misunderstanding of Mathematics as a whole?" Well before web surfers knew of James Tanton, or Sal Khan, or Vi Hart, or any number of other digital math impresarios, Alexander Bogomolny was ardently constructing one of the richest, wide-ranging math websites around -- a sort of mini-wikipedia of mathematical delights. You can't surf around math webpages very long without running into his "Cut The Knot" site… and once there you could probably spend several days enjoying it! 1) Can you tell us a little about your early biographical journey that brought you to the field of mathematics… and at what point did you know you wanted to do mathematics professionally? I never thought in such terms. As far as I can remember I simply liked solving problems and was always surprised by what I learned. 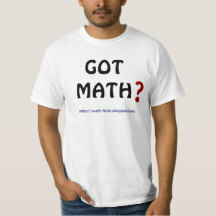 I began attending math circles and participating in math olympiads in fifth grade. It just never occurred to me that I could do anything else. 2) I don't really know the history of math sites on the Web, but I suspect your "Cut the Knot" site may have been among the early trailblazers? It is one of the most useful, fun, educational sites around. How old is it, and how did the idea for it first come to you? Did you feel from the start that it would be successful, or was it sort of an experiment in the beginning? And finally, where does the name "Cut the Knot" come from? I started the site in October 1996, the moment I learned of the existence of the Web. I felt there is something I have to share. At the time there were no google, Yahoo, wikipedia, or the notion of SEO. I was happy when people I knew (relatives, coworker, friends) found it necessary to mention that they read this page or that. This was a success for me, for the site provided a starting point for many interesting discussions. 3) The site is chockfull of interesting, wide-ranging stuff! For a newcomer visiting for the first time it could almost be overwhelming -- which pages might you encourage a first-timer to check out right away? And are there certain elements/pages/aspects of Cut-the-Knot that you're ESPECIALLY proud of? There are presently in excess of 5500 pages. I do not even remember writing some of them. A first time user should probably at least glance at the Manifesto where I tried to convey my idea of what mathematics is about and the purpose of the site. But, otherwise, the visitors are on their own. I intentionally put the word "Miscellany" into the title. There are many ways to search the site: separate thematic lists (algebra, arithmetic, etc. ), alphabetized index, google's search. It's not very difficult to find whether there is something on a particular topic. Some pages are even available on search engines from outside the site. As to being proud, for a number of years I wrote a column (Cut the Knot) for the MAA online. Some of these I believe may do for a good reading. 4) You're very interested in math education… are there certain other math websites you'd want to single out and recommend for anyone involved in math instruction to be sure to follow? There are plenty of good sites. I follow people on twitter.com, and, for reading, often depend on their selections. I regularly come across articles by Gary Davis, David Coffey, Fawn Nguyen. 5) Your Masters degree in mathematics comes from Moscow State University in the USSR… Ed Frenkel wrote somewhat extensively about his experience with mathematics education (positive and negative) in the USSR, in his recent volume "Love and Math." I'm wondering if you can relate pretty closely to his experience or was it different for you? And do you ever have occasion to visit Russia these days for mathematics-related affairs? There is a generation gap between us. While at my time (1966) antisemitism existed (my oral math exam lasted more than 5 hours) but at the end I still got my double 5 - for written and oral math and, as an honors student, was admitted to the Moscow State University without further exams (physics and Russian). When I applied for a visa to leave for Israel, the administration of the institute I worked at sent a virulent letter to the university complaining that it graduated implacable zionists. This was in 1974. In fact many of my classmates moved to Israel and the US starting 1972. Each could tell a similar story. So I guess by the time Edward thought of entering the university there was a sufficient justification to make antisemitism official: why should the state pay for somebody's education when the guy would not make any useful contribution to the Soviet economy? This became an official argument. The first time I visited Moscow was last year -- after a 39 year gap. I still have friends there, and it was moving to meet with them. No mathematics was involved. 6) Your Ph.D. dissertation was on something called "the stamp problem" (or "postage stamp problem") which I'd never heard of and had to look up… turns out it's one of those lovely, easy-to-state, innocent-sounding math puzzles that's actually very difficult to solve -- could you tell us much at a layperson's level about what you were able to accomplish with your work on the problem? Depending on the boundary data there are three more or less standard problems in static differential equations: Dirichlet (function is given), Neumann (normal derivative is given), mixed (part of the boundary is Direchlet, part Neumann. My problem was close to the latter, with a complication that the part of the boundary where one of the conditions held was an unknown. Under the stamp, in the domain of contact with a surface, one knew the Dirichlet condition (it was given by the shape of the stamp.) Elsewhere, assuming the stamp and the surface were static, the normal derivative was zero. But the domain of contact was unknown. The probem reduces to a variational inequality with a pseudodifferential (fractional derivatives) operator. 7) I always like to ask interviewees what math books they would especially recommend to a general audience of math-fans; and also what math books/authors were especially influential for you (if different from the more general recommendations)? I slept with a translation of Hans Rademacher and Otto Toeplitz's "The Enjoyment of Mathematics", John Littlewood's "Mathematical Miscellany", and Hugo Steinhaus' "Mathematical Snapshots". Of the later authors, I read and enjoyed books by Martin Gardner, Ian Stewart, John Allen Paulos, Steven Strogatz, David Gale, Julian Havil, Cliff Pickover, Douglas Hofstadter. 8) When you're not doing mathy things, what are some of your main interests/hobbies/activities? Photography, biking, scuba diving, traveling, seeing sights. Thanks for the responses Dr. Bogomolny; your site is a treasure-trove for math enthusiasts of all ages. And your passion for showcasing mathematics to a wider audience shines through!